Air Asia Promo Fare 2017: Discovering new places adds adventures and milestones to one's life! 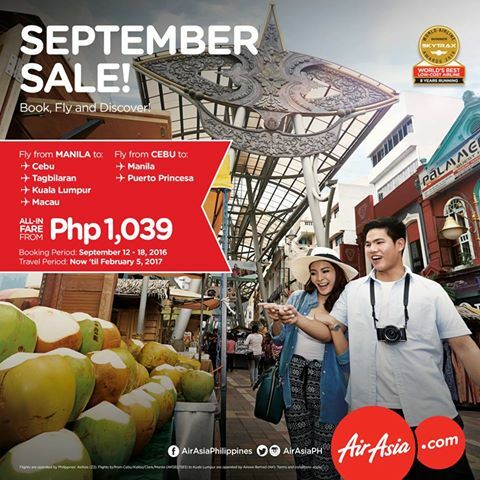 So here you go, avail our September Sale and book your trips with your friends and loved ones at http://bit.ly/AA_SeptemberSale and experience thrilling explorations together! From Manila, you can definitely fly to select destinations like Cebu, Tagbilaran (Bohol) or go international to Kuala Lumpur or Macau. For those coming from Cebu, you can visit Manila or Punta Princesa. How is that? 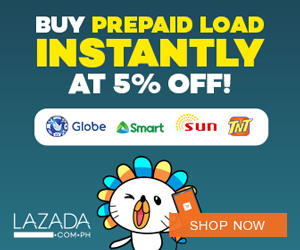 Avail this september sale now!